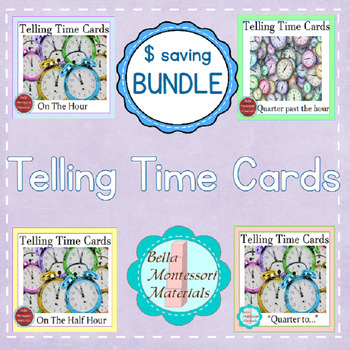 This is a file of all four of my Telling Time Cards. These are three part cards showing the clock on the hour, on the half hour, on the quarter past the hour and the quarter to the hour from one to twelve. Plus, there is a sheet of blank clocks for the children to make their own booklets. Are you a follower? If not, please consider becoming one by clicking on the green star beside my store's name. That way, you will be among the first to know when I post new work....almost always at a discount!